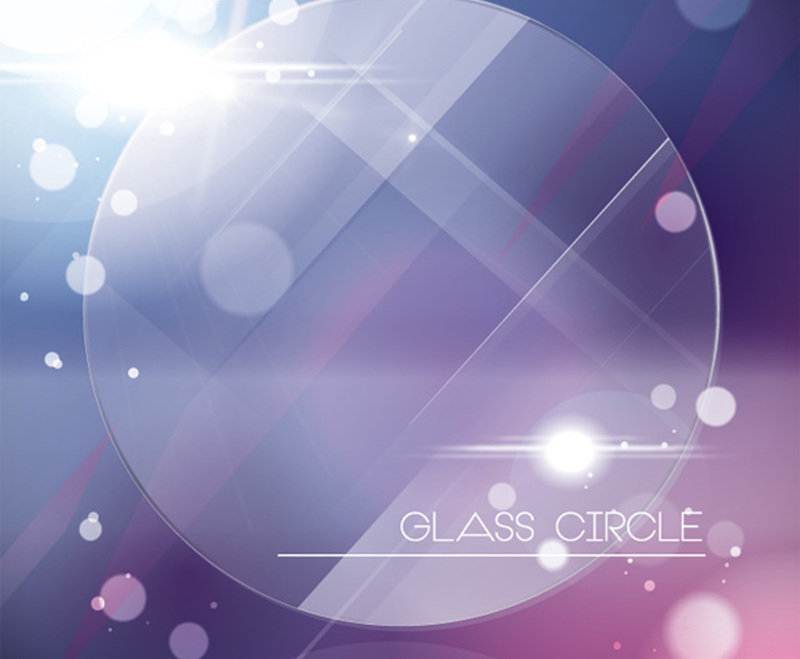 A translucent circle makes up the center of this abstract graphic. It's set against a deep purple background, and sharp lines cut through the background to add texture. In the top left corner, a bright white light shines out, illuminating the circle and creating a clean, focused look. Text appears over a thin white line towards the bottom-right side of the graphic; the light source seems to shine on the text, drawing attention to it. The clever use of reflections gives this image a unique look, and the glass circle is an elegant and interesting element.